• Fryer CNC 4-Axes vertical mill with a 30” x 30” x 60” capacity. • Fryer CNC 3-Axes vertical mill with a 25” x 25” x 50” capacity. • Chevalier CNC 2-Axes vertical mill with 12” x 42” capacity. 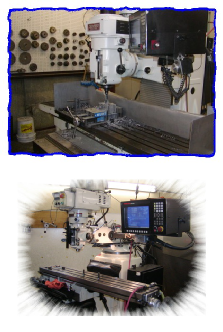 • Proto trak 2-Axes CNC vertical mill with 9" x 42" table. • Manual Vertical Mills 12" x 42" table travel with power feeds. • Super-Spacer and a 15" Turn table for indexing. • (2) Roll-in vertical bandsaws. • Sharp 12” x 40” Engine Lathe with metric threading. 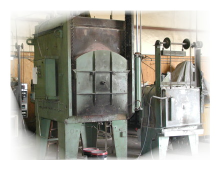 • Leblond 15” x 36” Engine Lathe. • (2) 6" x 18" Precision Hand Feed Surface Grinders. • (5) 6” x 12” Precision Hand Feed Surface Grinders. 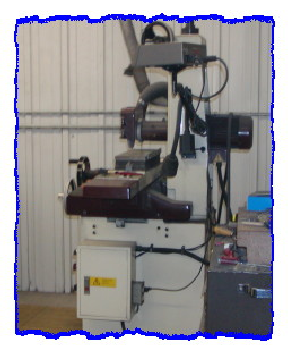 We use this machine for grinding holes up to 3" I.D. and approx. 3" Deep. • Brown & Sharp O.D. Grinder. 8” x 24” capacity. • #25 Knight Jig-Master Jig bore & Jig Grinder 18" x 24” working distance. 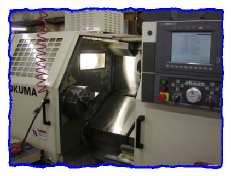 At this time this machine is a equipped for honing holes from .125” up to 2.00”. These machines have digital readout systems and all attachments for grinding forms, angles, radius and plain dimensions. We also have 2 Speedy-Spinners attachments for grinding between center up to 10" in diameter and 7" long, and a power rotator system up to 10” diameter. • 14" Dia. 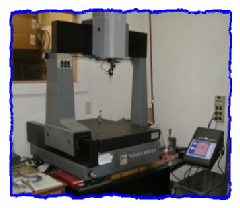 Screen Comparator Equipped for 10 or 50 times projection on angles, radius, and combinations contours. Guage Blocks, Height Gages, Surface Plates, Sine Bars, other needed items to check any work being done in the shop. • General heat treating and drawing of high and low carbon steels. 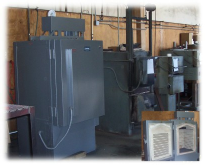 Delivery on most heat treat services is overnight.